By Sibahle Malinga, ITWeb journalist. African businesses are recognising the value of implementing IOT technologies. Local small and medium enterprises (SMEs) intend to prioritise the adoption of Internet of things (IOT) over big data, blockchain and artificial intelligence (AI), as part of their digital transformation initiatives for the next five years. This was one of the most notable results from the SME Survey 2018, conducted by ICT research consultancy World Wide Worx, in partnership with payroll and accounting software firm QuickBooks. The research is based on 1 400 interviews with SME decision-makers across South Africa. The research found that although local SMEs are notoriously slow when it comes to adopting new technologies, 83% of respondents said they expect to be using IOT in their business within five years. "While the survey asked SMEs about multiple future technologies, including AI, big data, 3D printing, crowdsourcing, blockchain as well as virtual reality, only IOT appears likely to have significant uptake among local SMEs in the next few years," reveals the research. Arthur Goldstuck, MD of World Wide Worx and principal researcher for the SME survey, says more local SMEs plan to adopt IOT to reduce operational costs and realise business value. "It has become obvious over the years that only technologies that directly benefit the SME, by helping it to save or make money, or become more efficient, will be adopted. IOT clearly fits the bill here. SME decision-makers are generally only willing to embrace a new technology if there is a clear business case to do so," notes Goldstuck. "Many SMEs have already been exposed to the benefits of the IOT in some form or another, thanks to technologies for vehicle tracking and asset management, so they are already aware of its benefits. This is the most likely reason SMEs foresee this as an area of major investment in the near future." He points out that next on the list are AI and big data, which come far behind IOT and are only expected to be adopted by 29% and 27% of SMEs, respectively. "This is not too surprising, considering that these technologies are mostly beneficial to businesses with large customer bases or complex logistics," says Goldstuck. He suggests this disaffection with AI stems from the intensification of coverage of the impact that Facebook and Google algorithms have had on the promotion of fake news. Since it was artificial intelligence technologies that effectively made the decisions that drove many of the fake news stories' popularity, this may well have had an impact on how much trust SMEs are willing to place in this technology. "Only 21% of SMEs state they will consider 3D printing, and this will likely be mostly in those fields where models or prototypes are required, or that need a limited run of a particular product. While the potential benefits are huge, the current cost-benefit ratio is not at a level that most SMEs would find attractive." Juniper research forecasts a 200% increase in IOT devices in 2021. "The number of connected IOT devices, sensors and actuators will reach over 46 billion units globally in 2021," notes the report. Gartner estimates that 4 billion connected things were in use in the consumer sector in 2016, and this number will reach 13.5 billion in 2020. "IOT services are the real driver of value in IOT, and increasing attention is being focused on new services by end-user organisations and vendors. Aside from connected cars, consumer uses will continue to account for the greatest number of connected things, while enterprise will account for the largest spending," reveals Jim Tully, vice president and distinguished analyst at Gartner. Furthermore, the study found blockchain is also a new technology, so its value proposition is not entirely clear for SMEs, due to it being intimately tied to Bitcoin, which, due to its crash earlier this year, has had a damaging impact on perception of blockchain. Before Bitcoin climbed through the roof, 13% SMEs were prepared to consider blockchain, but following the January crash, the figure dropped to a mere 5%, the study points out. "The IOT is crucial to the development and success of many SMEs and it's no surprise that South African businesses are recognising the value of implementing and applying this technology," says Rich Preece, Global Leader of the QuickBooks Accountant Business. "Time and insightful data are essential commodities for any small business and they are two of the biggest advantages the IOT can offer small businesses." According to Dimension Data, through IOT, companies can generate deeper insights that can be used to fine-tune business processes, change strategic direction and enhance customer service. 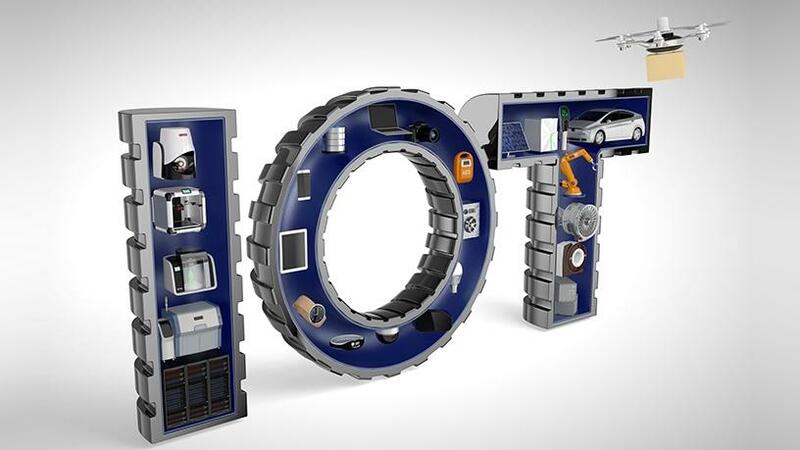 "IOT has the potential to grow new revenue streams in new markets and has been said to be one of the most powerful tools enterprises can use to transform customer experience technologies," notes Dimension Data.